As certified first assistant of the GASC, Shelley provides direct support to Drs. Ribot and Barfield during surgical procedures. Her responsibilities include ensuring clear operating visibility, controlling bleeding, closing surgery sites, and other technical functions that help the surgeons carry out safe operations. Shelley began her medical career in the specialty of gynecology in 1987.She subsequently became a certified surgical first assistant with an emphasis on advanced minimally invasive gynecologic surgery, and has worked in this capacity for Drs. Ribot and Barfield since 1998. Shelley lives in Rome with her husband, and has a son and daughter. She enjoys needlepoint, scrapbooking, reading and travel. April has been the pre-op/post-op coordinator of the Georgia Advanced Surgery Center for Women since 2010. In this position, she is responsible for providing care and support to patients before and after surgery. This includes completing all patient paperwork, addressing patient concerns and questions prior to surgery, monitoring their progress and ensuring their comfort in the recovery area, and ensuring that they are ready for discharge. April received a B.S. 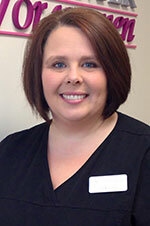 in Nursing from Valdosta State University in 2002, and has specialized in perioperative nursing since then. A member of the Association of Operating Room Nurses (AORN), she loves nursing and truly cares about her patients. She lives in Cartersville, and enjoys playing with her daughters and reading. Faith has been a surgical technologist with the Georgia Advanced Surgery Center for Women (GASC) since 2010. As a member of the surgical team, she assists Drs. Ribot and Barfield during operations, and also is responsible for maintaining the sterilization of all surgical instruments. Prior to joining the GASC, Faith worked in the X-ray department of Harbin Clinic in Cartersville. Faith holds a degree in Surgical Technology from Georgia Northwestern Technical College. She lives in Cartersville with her husband, Joey, and their children. She enjoys travelling, the outdoors and attending sports events. 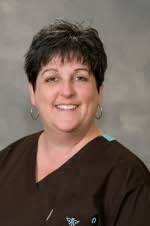 As clinical director of the GASC, Lynn is responsible for compliance with State regulations and Joint Commission requirements, as well as monitoring policies, procedures and safety of the surgery center environment She is responsible for supervision, continuing education, current licensure and certifications of employees and ancillary staff. She additionally assists with patient admissions, operating room, and post- operative care and discharge. Prior to joining the GASC, Lynn worked at Cartersville Medical Center as a Labor and Delivery Nurse, caring for laboring patients during the intrapartum and postpartum phases, as well as Preoperative Nurse, Intraoperative Nurse and Postoperative Care Nurse for the patients requiring operative deliveries. 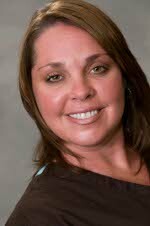 Lynn earned an Associate Degree in Nursing from Floyd College in 2003 after practicing as a Licensed Practical Nurse since 1997. With more than 15 years of clinical healthcare experience, she also holds certifications in Advanced Cardiac Life Support and Basic Life Support. Lynn feels very honored to be a Nurse, and strives to give each patient the individualized and specialized care that they deserve. Lynn lives in Waleska with her husband Stan and four children Grant, Luke, Jake and Emmy. Lynn most enjoys relaxing time at home with her family.